BASF - Formerly I.G. FARBEN. 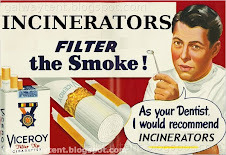 Are toxicology standards for the Dublin Bay Incinerator controlled by the manufacturer of Zyklon B gas? The anti-REACH offensive may well be the largest and most irresponsible corporate lobbying campaign in EU history. 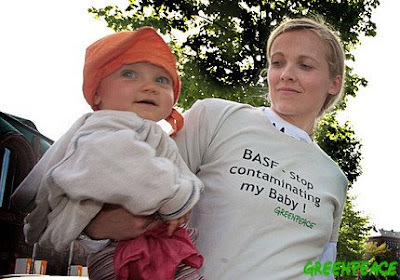 BASF leads the industry lobbying offensive against EU attempts to regulate toxic chemicals(1). When BASF’s Eggert Voscherau became president of the European chemicals lobby CEFIC, he replaced the group’s fairly conciliatory approach to REACH with far more aggressive campaigning. 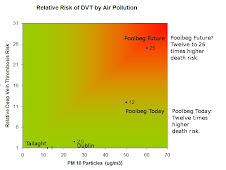 DuPont and Dow Chemical are also heavily involved in campaigning against tighter EU environmental and health regulations on toxic chemicals, the so-called REACH. BASF confirmed to the press in 2005 that it had 235 politicians under contract. Jürgen Creutzmann, Vice President of the Parliament of Rhineland-Palatinate. Creutzmann has been in continuous paid employment since 1973 with BASF. This clear conflict of interest has never prevented Creutzmann from presenting industry arguments against REACH. Karl Kress, CDU, has also claimed in several speeches that REACH would have a detrimental impact on industry competitiveness in North Rhine Westfalia and could become a “job killer”. 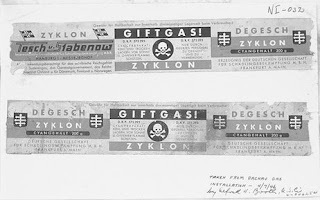 Kress admitted in 2005 that the chemical company Bayer pays him a monthly salary of €3,050, during a “passive phase of partial retirement”. Angela Merkel became chancellor in autumn 2005, one of her first official activities was to ask for and obtain a postponement of the European Council of Ministers’ decision on REACH. German MEPs occupied key positions in the REACH debate. In the current legislature 6 out of the 10 European Parliament Committees involved in REACH are led by German MEPs acting as rapporteurs. BASF was founded in Mannheim, Germany, in 1865. BASF founded IG Farben together with Hoechst, Bayer and three other companies. The allies dissolved IG Farben in November 1945. n 1952, BASF was refounded under its own name. This autumn, the European Parliament will vote on the new EU chemicals legislation (REACH) which was designed to protect people and wildlife from harmful man-made chemicals. However, over the period of its development, industry lobbying has resulted in a much weakened proposal, which could be as ineffective as the current legislation, according to WWF. Industrial chemicals such as pesticides, PCBs and flame retardants have been found in food consumed throughout Europe — from dairy products to meat and fish — according to a WWF report released today. The WWF report reveals the results of analysis carried out on 27 samples of different food items purchased in supermarkets in seven EU countries — the UK, Italy, Spain, Greece, Sweden, Finland and Poland. The tests found potentially harmful synthetic chemicals in all of the analyzed samples, ranging from phthalates in olive oil, cheeses and meats, banned organochlorine pesticides in fish and reindeer meat, artificial musks and organotins in fish, and flame retardants in meats and cheeses. The usual tactic of the EU is simply to keep repeating a referendum until they achieve the result they desire. As the BBC reports, "The Irish voted No to the Nice Treaty in 2001 and were asked to vote again a year later. That time they said Yes. The Danish voted No to the Maastricht Treaty in 1992 - and voted Yes a year later. The French and Dutch rejected the constitution in 2005 and the leaders designed Lisbon instead." But this time the EU is set to go a step further and simply ignore the decision of the Irish people while breaking their own laws - proving once and for all that the body is completely illegitimate, dangerous to democracy and a de-facto federal dictatorship. "California's standards are far more advanced then the EU standard which is apparently hobbled by BASF (IG Farben)."